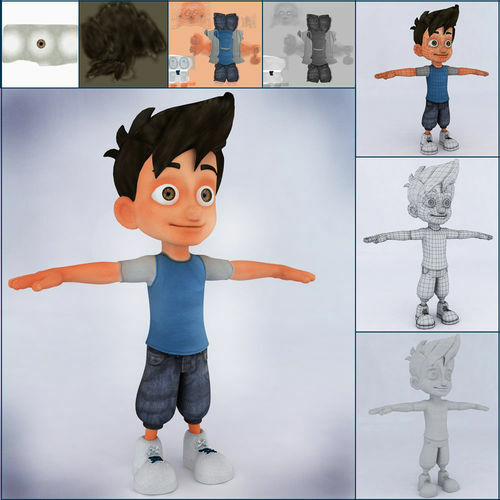 This 'BOY CARTOON' character has been made with proper cuts and topology which is best for animation and gaming purpose,T-shape pose and hi-res unwrap textured which can be changes. This model can be modify for other purpose like 3d printing. Enhance your skill by use this character. Feel free to ask for any other formats and other issue.